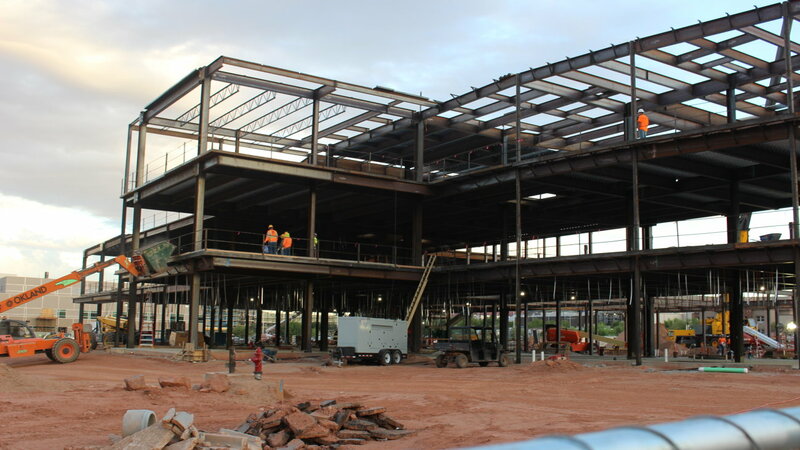 ST. GEORGE – Though the Intermountain Cancer Center being built next door to Dixie Regional Medical Center is a year away from completion, the cutting-edge research slated to take place within its walls is already well underway at the Intermountain Precision Genomics laboratory just down the road. Located in the upper floors of the Rim Rock Plaza on Medical Center Drive in St. George, medical oncologists and researchers work to unlock ways to find the best options to treat cancers through precision medicine – a fancy term for customized, personalized treatment tailored to an individual patient’s needs. Precision genomics takes the concept of personalized care a little further. “Precision genomics means selecting personalized or individualized treatments for a patient based on their unique molecular- or DNA-makeup,” laboratory Executive Director Dr. Lincoln Nadauld said. Genomics is a study of DNA that focuses on finding out what changes to DNA, or mutations, have taken place to generate a disease, he said. Once those mutated genes are identified, specific medications can be recommended to help treat a specific patient’s cancer through the use of immunotherapy and other treatments. “(Immunotherapy) is a strategy to help your immune system find your cancer and kill your cancer cells,” laboratory Director of Immuno-oncology Dr. Terence Rhodes said. Cancerous cells that would otherwise remain unnoticed by the immune system are revealed through the use of drugs, a process that typically takes nine to 12 weeks to see if a drug applied is working, Rhodes said. However, paired with precision genomics, oncologists are able to see if a patient’s cancer is susceptible to certain immunotherapy treatments before any drugs are used. “Together, through those two strategies, we may be able to help our patients live longer and healthier lives,” Rhodes said. While some patients may be able to forego chemotherapy in favor of immunotherapy, Nadauld said, a patient may still be found to benefit from a mix of treatments that includes chemotherapy and radiation. Both Nadauld and Rhodes are medical scientists in addition to being oncologists. As such, they take part in the research being done at Intermountain’s laboratory. A large part of what its precision genomics program hopes to achieve is to take discoveries made in the lab and apply them to patient care. “We’ve developed a process that can help patients directly,” Nadauld said. 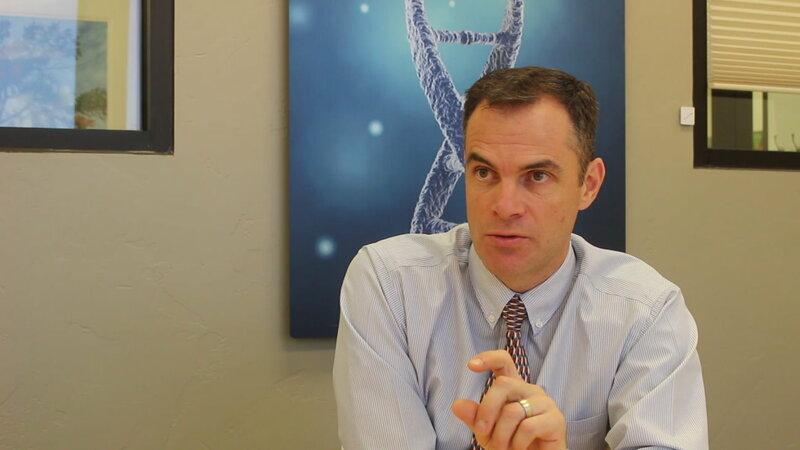 Physicians can order a genetic test of a tumor sample offered to Precision Genomics for examination by a board of specialists brought together by Intermountain Healthcare with Precision Genomics. The board, which includes Nadauld and Rhodes, analyzes the genetic data taken from the tumor sample and then makes specific recommendations based on those findings. The general turnaround from the lab receiving the sample to a treatment recommendation is about 16 days. Patients who typically benefit from this testing are those with late-stage cancers who have “run out of options,” Nadauld said. For them, their cancers may have become resistant to drugs that had previously worked, so a new treatment needs to be found. Nadauld shared an example of a man in his 40s with late-stage colon cancer. DNA testing was done and it was discovered the cancer was susceptible to drugs generally used for breast cancer. Once those drugs were applied, the patient’s quality of life greatly improved. The man improved to the point he was able to return to work and also experience family milestones like seeing his children graduate from high school. His cancer did later become resistant to the new treatment and he died, but not before his life was improved through precision genomics treatment. That man’s case is just one of many the board examines, some involving people in the St. George area, others from across the United States. “We’re receiving and analyzing dozens of tests every week, from all over the county,” Nadauld said. When examining tumor DNA, oncologists typically focus on 162 genes known to be associated with cancer pathway mutations. They tend to ignore the approximate 20,000 genes that make up the human genome. However, that overall makeup is being sequenced and analyzed by the Translational Science Center at Precision Genomics in order to provide a bigger picture that oncologists and researchers will be able to draw from for their purposes. Helaman Escobar, director of Translational Science and Research, said the center’s personnel look for overall patterns in the genome beyond the 162 known genes that may contribute to cancer. “We’re trying to find out what mutations are meaningful so future doctors can use that to make medical decisions,” Escobar said, adding that the subsequent research will aid doctors in figuring out why cancers behave certain ways or are susceptible to certain drugs while being resistant to others. Part of what the center is doing is sequencing genetic information from over 4 million tumor samples from patients stored by Intermountain Healthcare over the last 40 years. Called the “biorepository,” the samples are kept in a basement facility in Salt Lake City. The large population of samples in the biorepository provides doctors and medical scientists the wherewithal to work and draw comparisons to current cases. Further unlocking the genetic profiles of particular tumors from years past can also help doctors see what treatment may or may not have proven effective in combating the disease at the time. The biorepository helps build a foundation on which the precision genomics program can move forward, with Escobar and others working to unlock genetic information along the way. An aspect of the Intermountain Precision Genomics program that is often highlighted by Intermountain officials is its partnership with Stanford University. The partnership has produced a satellite laboratory of the Stanford Genome Technology Center, currently housed at the Rim Rock Plaza. Informatics will better enable computers to read genetic data compiled from sequencing, Escobar said. The Stanford partnership helps put Intermountain Healthcare on the cutting edge of research and technology, Rhodes said, adding it will greatly aid in taking research to the next step of clinical application. Nadauld, Rhodes and Escobar each said they were excited to be a part of the precision genomics program and take part in the research as well as the ultimate goal of applying the research and discoveries wrought from it to patient care. For the time being, precision genomics is primarily used to find treatments for late-stage cancer patients who have run out of options, Nadauld said. Like the man with colon cancer he mentioned, they may become resistant to a standard from of treatment and need something new in order to improve their quality of life. As for early-stage cancers, Nadauld said, medical science is very good about treating and even curing those conditions through surgery, medications and other means. New treatment options are also being approved by the Food and Drug Administration every day, he said. Finding treatment options for other maladies is another benefit of precision genomics moving forward. 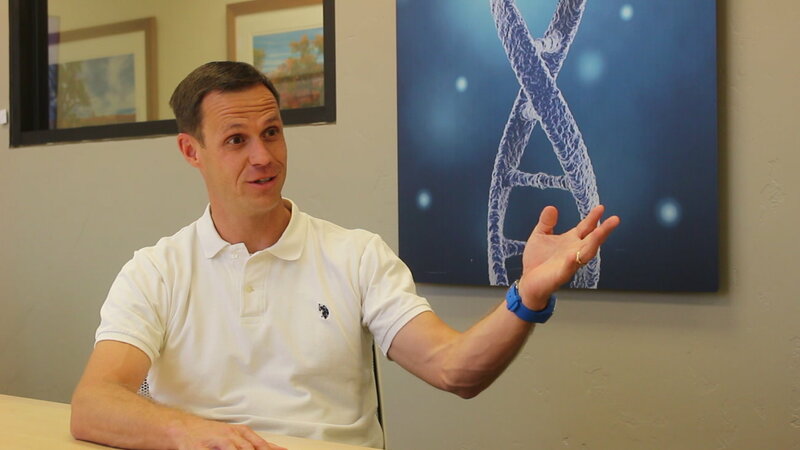 While its current focus largely deals with cancer, Intermountain Precision Genomics Operations Officer Gary Stone said research and discoveries made through the genomics lab will ultimately help physicians make applications to other conditions as well. This is wonderful as of now my dad has stage 4 cancer. The Dr was treating him for a uti for 6 months then found out he has a tumor in bladder after chemotherapy and radiation treatments the cancer spread the Dr told him it was beatable and not to worry. It seems the Dr gave my dad false hope my dad lives in South Dakota. I wish I could do more for him he recently had a massive heart attack on top of everything my dad chose DNR. It’s very hard to watch him suffer.